Labor activist Mahmoud Arasham Rezaee has been issued a lengthy prison sentence at a trial that unlawfully took place without prior notice or the presence of his lawyer, his mother Keshvar Rezaee informed the Center for Human Rights in Iran (CHRI) on March 27, 2019. Rezaee was supporting his family at the time of his arrest and is now struggling to take on any job he can in the prison to continue supporting them. "I have heart disease and his sisters are in school," his mother told CHRI. "He was our only breadwinner." "He's not only suffering from being in prison but he has also been working during the day and washing dishes and clothes for this and that person in prison to send us some money," she said. 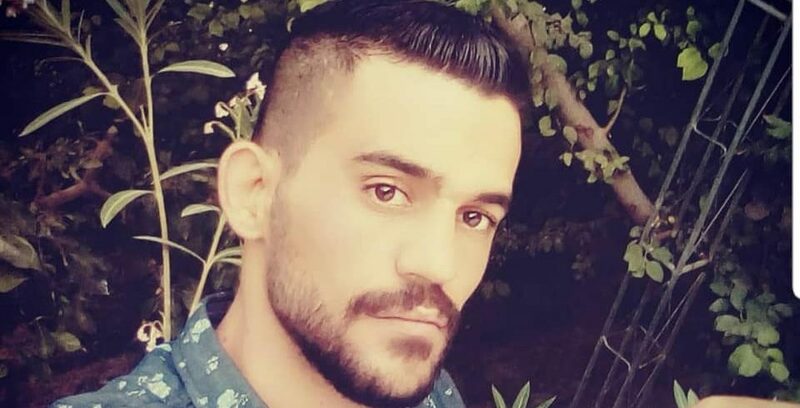 The 27-year-old construction-building painter was arrested by agents of the Islamic Revolutionary Guard Corps' Intelligence Organization in Tehran on January 7, 2019, and taken to Evin Prison. On February 27, Rezaee was handed a summons in his cell to appear at Branch 28 of the Revolutionary Court that same day. Judge Mohammad Moghiseh sentenced him without the presence of a lawyer to a total of 8.5 years in prison for the charges of "propaganda against the state," "assembly and collusion against national security" and "insulting the supreme leader." Based on Article 134 of Iran's Islamic Penal Code, which stipulates that defendants must only serve the longest prison sentence in cases involving convictions on multiple charges, Rezaee must serve five years of that sentence (subject to appeal). Rezaee was illegally sentenced without a lawyer during his trial. It is not clear whether he was denied the lawyer by the judge or could not obtain one in time given that he was denied prior notice of the trial. Article 25 of Iran's Constitution states "Both parties to a lawsuit have the right in all courts of law to select an attorney, and if they are unable to do so, arrangements must be made to provide them with legal counsel." Article 48 and 190 of the Criminal Procedures Regulations also grant prisoners the right to counsel. Keshvar Rezaee told CHRI that her son was arrested in January 2019 for allegedly participating in peaceful protest rallies, informing the public about the condition of political prisoners and meeting with their families. Two other labor activists, Majid Hosseini and Mohammad Hosseinzadeh, who were detained around the same time as Rezaee were released on bail at an unknown date. Rezaee was unable to post bail because his family had insufficient funds, his mother said.